The Wine Primer Intro Course is a basic entry level course for all wine lovers. The North American Sommelier Association launches this comprehensive, thorough and condensed WINE PRIMER INTRO COURSE in 2014. Currently offered in LOS ANGELES, SAN FRANCISCO and SAN DIEGO, CA (new cities will be coming soon). Developed over three years of market research and course development by professional teaching and working Sommeliers, this introductory class in wine provides wine fundamentals and builds confidence for any individual enthusiasts and industry professionals. WINE PRIMER BASICS COURSE is a 2-day, 14-hour course, requiring no previous wine education and specifically created for those who wish to approach wine basics academically for the first time, as well as those who have been enthusiasts for years but wish to consolidate the knowledge and understanding of their passion. The course has no exam. A 'certificate of attendance' will be issued by NASA (recognized by the Worldwide Sommelier Association) to all individuals who successfully complete the course. WINE PRIMER INTRO COURSE is taught entirely by professionally-certified working Sommeliers who are also NASA trained professional teachers. REFUND & CANCELLATION POLICY : *Enrollment fee non-refundable upon cancellation or no show by student - course credit will be retained for future use. If cancelled by NASA, full refund will be issued. PROFESSIONAL SOMMELIER CERTIFICATION IN 1 YEAR WITH A "HANDS-ON", COLLEGE LEVEL, MERIT-BASED PROGRAM. The WSA/NASA SILVER-PIN CERTIFIED SOMMELIER course is an international version of the WSA (Worldwide Sommelier Association) methodology. The certification is recognized globally and is deemed one of the best Sommelier programs in the world, thanks to over 70 years of professional experience and development. Aside from the extensive classroom time and proper school setting, strengths of this curriculum are the unique and patented 'technical tasting methodology', the highest standards of instruction, modern and practical service education and the globally acclaimed and patented 'technical food & wine pairing methodology', for which the curriculum is famous. 1. The Silver Pin Certified Sommelier course consists of 150 hours+ of hands-on classroom lecture time. 2. All classes are taught by highly qualified instructors, providing the most direct and firsthand knowledge of each subject by experts in their fields. 3. NASA provides students with extensive course and study material (five high quality books, charts, maps, handouts, tasting notebooks, tasting glasses, Sommelier wine bag). 4. NASA is in the business of education and courses, not selling certifications and exams. All students must take the course in order to take the exam.You are literally "going to school". 5. You will taste over 120 wines and spirits from many wine regions around the world. 6. This course includes a guided class visit to a winery as part of the program, in order to learn how wine is made, and includes visits to the vineyard with the winemaker. 7. A significant advantage of this course is the concentration on technical FOOD and WINE PAIRING, an internationally-patented unique method, with an array of foods included for practical instruction. 8. The course includes one educational fine-dining class dinner at a restaurant, in order to witness the pairing concepts learned in a "real-life" application. 9. The Silver Pin Certified Sommelier is issued by the WSA (Worldwide Sommelier Association) and is recognized officially around the world. 10. Once certified with WSA/NASA, you will be part of a group with extensive networking, job referrals, and further education only available to our Certified Sommeliers. 11. The extensive shared classroom time and experiences of this course creates strong professional bonds and friendships between students and staff. You will make friends for life in this course and build solid professional networks. 12. If you fail the final examination you may retake the exam as many times as needed for a modest re-examination fee. You are NOT required to retake and repay the entire course fee. NASA periodically sets up exam dates which are communicated to the students. 13. Our goal is for 100% of our students to pass successfully. We offer private mentoring, online lecture recordings and material, study-groups and constant aid. 14. We pride ourselves in having a 98% overall satisfaction rate and a 96% quality-price ratio satisfaction. ENROLLMENT NOW OPEN ! STARTS OCTOBER 06th 2018 ! NASA (North American Sommelier Association) is the exclusive teaching institution of this internationally prestigious certification in the United States and Canada, under the strict supervision of the WSA - the largest Sommelier organization in the world - which directly issues the course certificates from its European headquarters in Rome. This Sommelier course requires no previous professional wine background, although some prior basic wine knowledge is strongly recommended. Due to the detail provided, extensive lecture time and overall complete program, students receive all materials required to successfully complete the course, inclusive of 5 high quality international standard books (3 of which are published by NASA and the WSA), wine tasting card and wine color chart, embroidered & padded Sommelier wine glass/bottle/books/corkscrew carrier bag, 2 Bormioli Rocco custom tasting glasses and a complete course notebook for notes, tastings and pairings. No self-purchase of texts is required ! This course is an incredible opportunity for people passionate about the glorious world of wine and to those whose familiarity lacks true breadth. It is a full Sommelier course tailored to those who either already work in the wine and hospitality industries or those who desire to obtain the highest levels of knowledge & certification as a personal goal, as well as individuals looking to enter the industry with a suitable resume'. NASA very strongly believes in the value of first hand knowledge & classroom time. Self study has proven to be excessively laborious, costly, unfocused and less effective. As a consequence, the WSA/NASA SILVER-PIN CERTIFIED SOMMELIER course was designed as a "hands on" approach, entirely taught by an extensive roster of professionals & experts in the subjects covered, some of the most qualified and awarded in their fields and often natives of the countries and wine regions they are teaching. This provides students with a direct, tutored and broad view of the complex world of wine, as well as an opportunity to network extensively with industry peers and create new and exciting friendships between them through shared experience, study groups and camaraderie. The course includes tastings of more than 120 of the finest wines and spirits from all over the globe, as well as dozens of food preparations for the 'food & wine pairing' phase. Food and Wine Pairing is one of the curriculum's biggest strengths. Developed in the 1950's and expanded upon since, it is highly regarded around the world and patented by the WSA. Our unique and patented technical pairing method and chart is based on chemistry, bio-chemistry and human physiology, as well as time honored tradition. This method is a trademark of the Worldwide Sommelier Association and utilized by all of its global member organizations. Students must complete and successfully pass the examination (written, practical & oral) at the end of the course to attain the internationally recognized WSA/NASA SILVER PIN CERTIFIED SOMMELIER qualification, after which they may continue their careers with numerous 'MASTERS' programs and the 'GOLD PIN CERTIFIED SOMMELIER' qualification (Gold Pin qualification rules may be found on page 10 of our statute). $ 400 every month for total of 8 months plus final payment (Final payment of $440). Payment in full (Payment can be made with credit card or check made out to : North American Sommelier Association. You may pay the enrollment fee now ($ 550) to reserve your seat and set up your preferred payment plan. Italy is currently the #1 wine exporting and producing country in the world, as well as the most imported wine into the United States; a force in the wine world that is hard to ignore. Italy and its wines are often superficially and inaccurately taught, due to its huge complexity, incredible variety and unique peculiarities. Difficult to truly grasp, this complex scenario stems from its intricate and vast cultural background, heritage & history. We of the North American Sommelier Association believe that only qualified native Italians are capable to deliver the concepts, transmit the true passion & romance, teach the facts and convey the texture of this country in an authentic, accurate and genuinely Italian manner. Indeed the course is designed around the exact curriculum and outline of the Italian Sommelier Association (AIS:http://www.sommelier.it/), as Italians themselves view their country and study it at university. It has been extracted and adapted to the American scene from the Sommelier course that takes place in Italy. The founders and teachers of this now internationally recognized certification are also the very teachers that will take you on this compelling and exciting journey, from start to certification. All native Italian professional Sommeliers and active international educators, fluent in the English language and residing in North America. This course will comprehensively dive into Italy, to explore this amazing wine producing country by analyzing the terroir (geology, geography, climate), culture, history, tradition, nuances, uniqueness & character of all 20 regions one by one. It is extremely beneficial to both wine industry professionals (servers, Sommeliers, sales reps, educators, journalists...), students of other certifications and wine enthusiasts alike, who are interested and passionate about the vast and opportunity-packed world of Italian wine and provides not only an important certification but a cohesive and genuine understanding of Italian wine and Italian culture. The IWS (Italian Wine Specialist) was the 1st and original Italian wine certification program offered in the USA and Canada, recognized throughout the world and offered globally, designed in conjunction with the AIS (Italian Sommelier Association) in Italy and backed by the WSA (Worldwide Sommelier Association). The course was pioneered exclusively by NASA, recognized as the leading global educational and consulting authority on Italian wines in North America as well as a fast growing national Sommelier network, providing consistent benefits and education to its members. Our purpose in the IWS certification is to transmit the true atmosphere, heart and soul of Italy and Italian wine along with the numbers and facts that are of public domain. It is exactly this very atmosphere, heart and soul of each region that becomes essential in truly understanding and appreciating Italian wine, beyond merely the superficial concepts and hard facts. The instructors are all native Italians, certified Sommeliers and professional educators & consultants. They are amongst the highest authorities on Italian wine in the United States. We hand pick them to be born and raised in the regions they teach, giving you first hand knowledge, real anecdotes, local dialect & slang notions and details you will not find on publicly sold books or from non-native individuals, including the proper pronunciation of Italian names and words as well as authentic cultural & folkloristic facts. The course consists of a total of 28 hours (4 days) of class time lecture and tasting of the most representative wines, with a final written exam (5th day) required to achieve the 'IWS' certificate and lapel pin, issued by the North American Sommelier Association and the Worldwide Sommelier Association. This class will deeply & comprehensively explore all 20 wine regions of Italy in sequence, the country's wine laws & regulations, grape varietals, intricate culture, history and traditions, trends, typicality, terroirs and key differentiating characteristics, including a brief overview of cuisine. A portion of the course will be dedicated to the exclusive and advanced NASA/WSA 'technical wine-tasting technique' for which we are internationally renowned as well as notions of technical food & wine pairing, both traditional Italian and extracted from our world patented 'technical food & wine pairing methodology'. Thanks to our direct connection with Italy and staff at the ministry of agriculture as well as universities in Milano, our information and course content is the most up to date and accurate that you can find on the market and has been utilized as the primary source of visuals and information for the writing of the course book provided, written as a complete tool & text of reference not only for the IWS certification but for continuous consultation. Full color quality print and rich with maps, charts, photos & diagrams (including vintage chart, DOCG list with legislation, DOCG map, terroir map, geology maps...) the text is laid out with the same mentality and approach as the course curriculum, in a cohesive & comprehensive manner, region by region following introduction, overview of Italy and national + EU legislation. The exam consists of a 1 hour written test (multiple choice, short answer and 1 short essay) with no tasting or food pairing involved. It can be taken multiple times for a re-examination fee should the result be negative. Passing grade is 70/100, with 80-90 passing with 'distinction' and 90+ passing with 'Honors'. THE BOOK: "An overview of Italian wine" (written by Diego Meraviglia and published by NASA). Tasting of over 30 of the most representative and authentic quality wines from all regions of Italy. WHERE: CITY WINERY - 1200 West Randolph St.
NASA is proud to present the first globally-recognized certification on American Wine available - our American Wine Specialist ® certification. 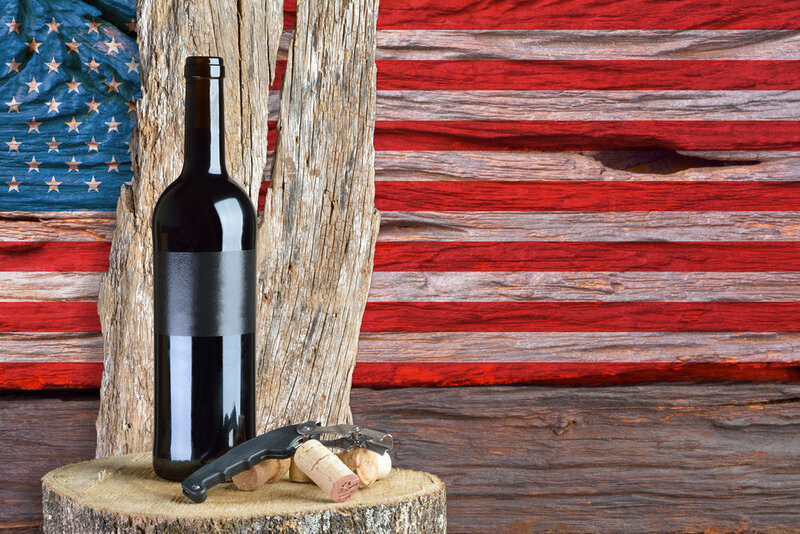 America has some of the most unique and acclaimed wine regions on the planet. Our ideal climate and our geologic richness provide the potential for perfection, vintage after vintage. Americans have the luxury to grow virtually any grape variety in any style, giving us complete freedom to create a rich and diverse wine culture that began here in the 16th century and survived wars, drought, pestilence and Prohibition. It's a blockbuster story that will change the way students - wine professionals and wine enthusiasts - think about American wine. NASA encourages students already knowledgable in our West Coast wine regions to consider the Remainder US as an option to expand tasting experiences; this is a one-day master class on vitis vinifera, hybrid and native varieties from wine regions of the East Coast, Midwest, Southwest, South. West Coast terroir factors, including climate and weather, geology and topography. US regulations. Wine regions of California, Oregon and Washington. Over 25 wines tasted. Coverage of native and hybrid varieties in addition to vitis vinifera. East Coast, Midwest, South, Southwest. Over 14 wines tasted. This course requires no previous wine expertise, although a minimum basic wine knowledge is strongly recommended. Students should consider taking the Wine Primer course in addition to the AWS®. Spain has historically always been one of the world's prime producers of wine, especially reds and fortified. 3rd in line after France and Italy, Spain is quickly garnering a very important market share thanks to its incredible capability of volume/quality ratio, competitive prices and top quality gems such as Rioja, Priorat and Ribera Del Duero denominations. NASA's SPANISH WINE SPECIALIST 'SWS' certification course takes a detailed look at the regions and the wines produced from this incredible land, one of the most important wine economies of the world and the fastest growing wine market segment in the US. A full immersion into the classic wine appellations of Spain, from its famous wine districts of Rioja, Ribera, Priorat, Castilla, Rias Baixas, Penedes and Jerez, to its most important grape varieties, clones and biotypes: Tempranillo, Garnacha, Monastrell, Viura, Albariño, Xarel-lo and more. Topics include: Labels and wine classification, history, geography, viticulture and overview, wine districts, food and wine pairing tradition. The course consists of 2 full days (7 hours ea. with break) of professional lecture and tastings, led by NASA qualified Sommeliers and specialists, with an exam set for a 3rd date. The course is also supported by the Regulatory Board of Denominación de Origen Rioja. The exam consists of a 1 hour written test (multiple choice, short answer and 1 short essay) with no tasting or food pairing involved. It can be taken multiple times for a re-examination fee of $70 should the results be negative. Passing grade is 70/100, with 80-90 passing with 'distinction' and 90+ passing with 'Honors'. Cost of the course is 'all inclusive' (lunch, wines, lectures, exam, material). A proprietary, innovative and ground-breaking course, the 2-day 'MASTER OF TERROIR ®' course specifically focuses on TERROIR and everything that affects it. Taught by Gold-Pin NASA Sommeliers and professional Geologists, CLIMATOLOGY/METEOROLOGY, TRADITION, GEOLOGY and ADVANCED WINE TASTING combine into a thrilling course that covers how the entire environment affects what we drink all over the globe...and how we can recognize it in wine. Following an examination, students who pass will achieve the 'Master Of Terroir' certification issued by NASA, member of the WSA (Worldwide Sommelier Association). Terroir = (French pronunciation: [tɛʁwaʁ] from terre, "land") is the set of special characteristics that the geography, geology and climate of a certain place, interacting with the plant's genetics, express in agricultural products such as wine. 1f. Main minerals and chemistry of the three Rock groups and their soils. 5.What have we learned to improve our wine selection skills? The "Master of Service" is a certification dedicated to properly and professionally training service professionals in the restaurant and hospitality industries. Graduates of the course should be capable of delivering uniformed, impeccable wine and food service that reflects the quality and mission of their service establishment. The Course objectives are to educate service professionals to international standards. This is achieved through the teaching of practical skills like dining room etiquette, protocols, food service, and focusing on the fine art of professional and private wine-service. Students build confidence in their service skills, and learn the utiity of moving around the "floor" with grace, efficiency and professionalism. The Master of Service is taught by active professional Sommeliers who work in acclaimed and Michelin star restaurants, who have honed their skills in the dining rooms of Europe and North America. The course is built around the highly-appraised wine service standards of our parent organization, the Worldwide Sommelier Association, and adapted to current practices within the hospitality industry of the USA to create a unique course that only NASA teaches on the continent. The final exam will reflect the pragmatic nature of the course, putting candidates through a series of tests designed to have them practice and fine tune their newly-acquired service expertise and consequent qualification. Upon completing the one-day course, and passing the written & practical exam, students receive a certificate as 'Master of Service' from NASA. We recommend this course to servers, restaurateurs, training staff, General Managers and to current and student Sommeliers who wish to achieve the 'Gold-Pin Sommelier' status.